This dish is a showstopper. 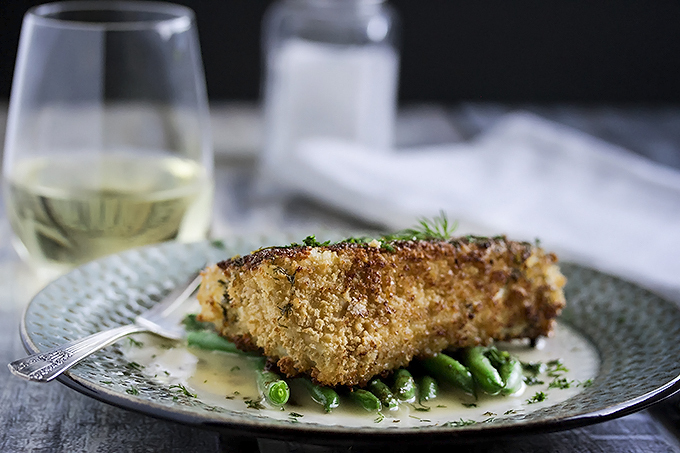 Meaty and flaky halibut coated in seasoned crispy panko crumbs, pan fried, finished in the oven and then drizzled in the most indulgent lemon, butter and wine sauce with fresh dill. 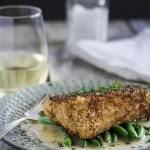 It’s pan fried halibut at its best. So easy to make but a seriously impressive dish to put on the table. 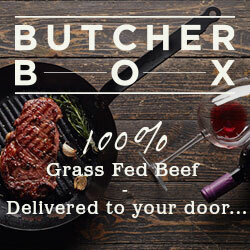 Perfect for a special romantic dinner with your partner or a special family dinner. A birthday… Or hey, just cuz its delicious and you wanna eat it. 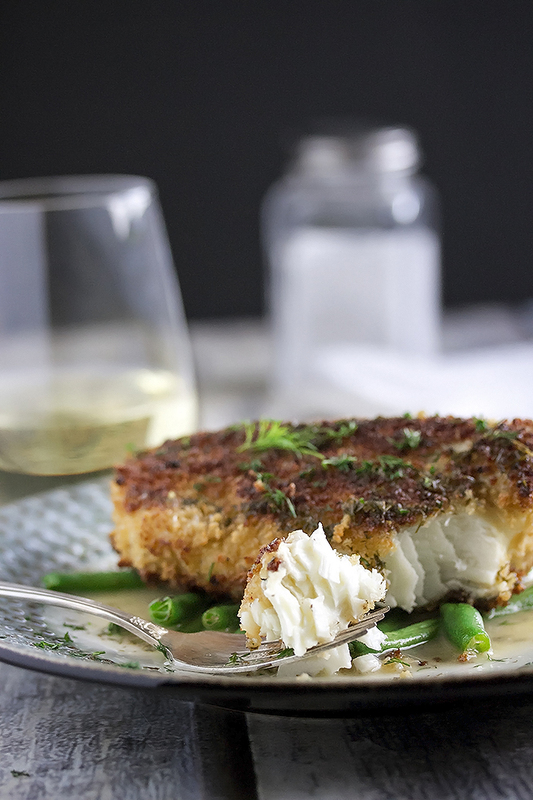 I think its the panko crust on this pan fried halibut that makes it so special. Who doesn’t love crispy fried fish? Lets face it, battered chips are freeking good, but they are heavy on the calories and grease. This dish is still super crispy, but it is certainly not greasy and the fish itself is light on calories. If you are worried about calories then just go easy on the sauce. Its packed with flavor so a little goes a long way. Doesn’t that beautiful fish just look so good?! I think Halibut is my favorite fish because its so super flaky and moist. I wasn’t fibbing when I said this dish is really simple to make. Even for a bunch of people. In that case you would get the fish all coated, pan fry in batches and then throw it on a baking tray to finish in the oven. See, easy! The sauce can be made ahead of time and then just warmed up. Then your last consideration is what to serve it with. We like to serve this with veggies, like these beautiful green beans, but you could serve this with broccoli, rice pilaf, potato wedges or any other side you feel like really. And of course, a nice bottle of white wine (or two!). 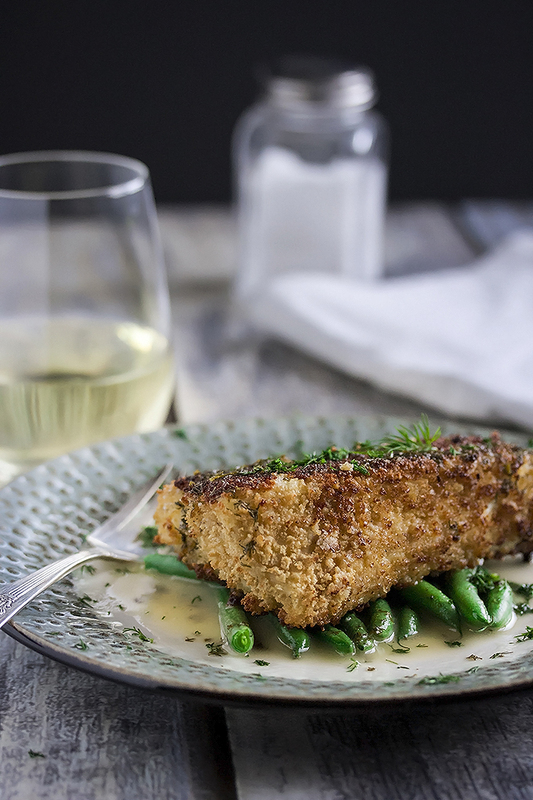 Sauvignon Blanc, a Riesling, or my personal favorite, a Pinot Gris would pair nicely with this pan fried halibut dish. Take the halibut out of the fridge and let it come to room temperature for 30 mins or so. Pat the fillets dry with paper towel. Season with salt and pepper. Make the sauce. Add the wine to a small pot and simmer till it reduces in half. Add the butter, lemon, and dill. Simmer for just a min and then set aside with a lid on. Bread the fillets. Get out three bowls. In one add the flour or cornstarch, 1/4 tsp salt and pepper each. In the second, add the egg, 1/4 tsp salt and pepper. In the final bowl add the panko, 1/4 tsp salt and pepper. Take each fillet and coat first in flour or cornstarch, then egg, then panko. Set aside on a plate. Heat a large skillet to med-high heat. A heavy bottomed stainless steel or ceramic pan works best. You might need 2 medium pans instead depending on how big your fillets are. You must make sure that the fillets are not crowded in the pan or they wont get a nice sear or crust on them. When the pan, or pans, are nice and hot, drizzle some oil into the pan just so it has a thin layer. When the oil starts to shimmer and smoke slightly, place a fillet, in the pan laying it down in the pan away from you. Don't touch it! You will want to, but don't. Wait 3 mins and then try to lift the fish. If it lifts easy, flip it over. If it doesn't release easy, let it be for another min then try again. Don't poke at it or it could break up. Once the fish is flipped onto the other side, wait 1 min and then turn the heat off and throw the pan in the oven for 4 - 6 mins per ½ inch thickness. We cooked the fillet in the pictures of this post for 8 mins. Remove from the oven, place on plates, drizzle with the sauce and serve immediately. We love this dish with green beans, but the sauce would be delicious with any veggies you want to serve with it.